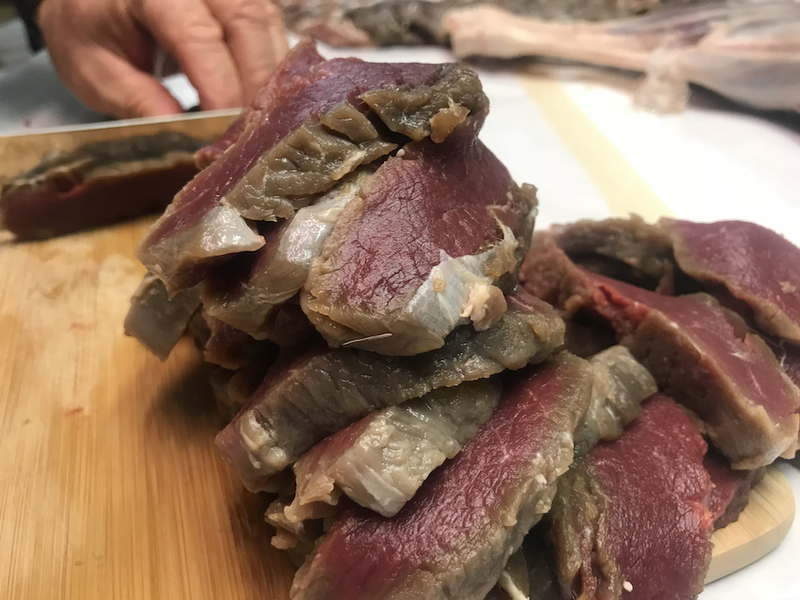 If you enjoy a juicy, tender, and flavorful backstrap filet then you have to give this aging venison process a try. It’s most likely the best aging process you’ve never heard of. 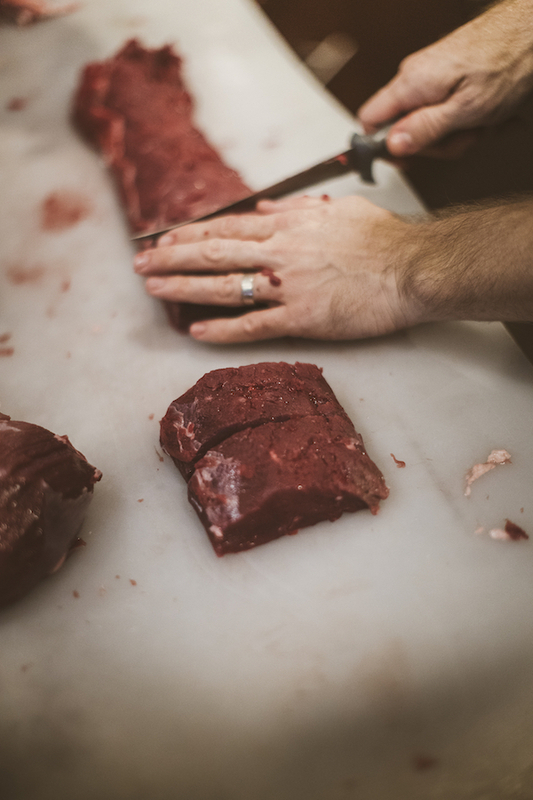 This article needs a disclaimer though: this process may ruin all restaurant steaks for you. Seriously it’s that good! The purpose of aging your meat is to improve the flavor, tenderness, and overall moisture content within your game meat. Salt plays a huge role in this radical transformation and prevents the development of bacteria. Dry-aging meat is one traditional method to cure meat, but it requires a space that is bacteria-free that can keep meat between 32℉ and 40℉ for a week or more. Wet-curing meat is just as effective and far more controllable for most hunters. 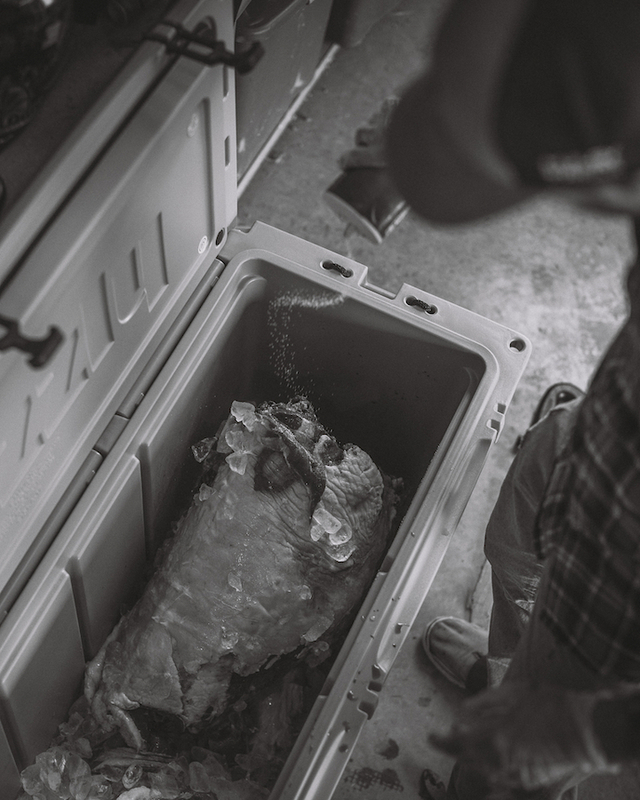 The cooler method is more closely related to the process of brining than others you may have heard of, for example dry-aging. Brining is best suited for those meats with low fat content, such as the wild game. 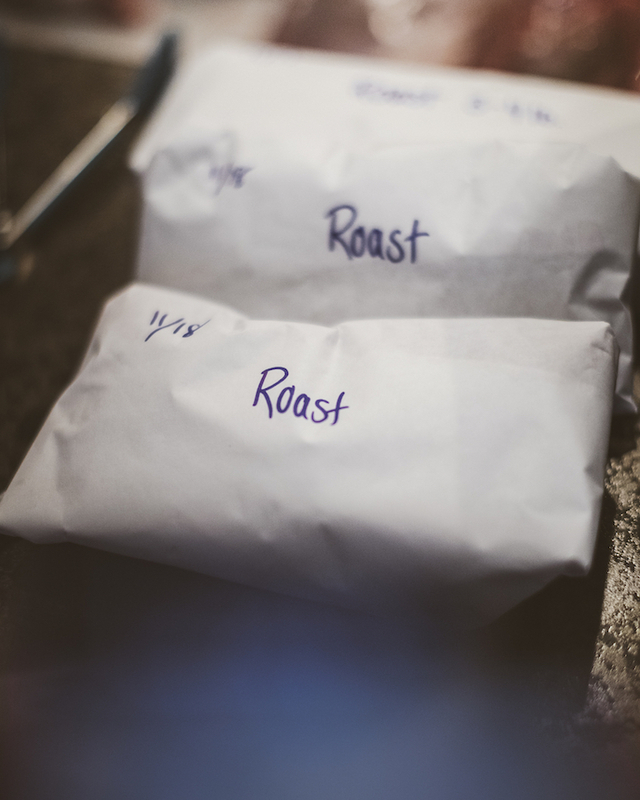 Brining uses the process of osmosis to deliver the salty solution into the meat. It equalizes the salt levels and breaks down the muscle fibers so they can hold more moisture, creating a more tender and flavorful bite. This process also deprives any bacteria of the moisture it needs to thrive, which in turn keeps your meat fresh. 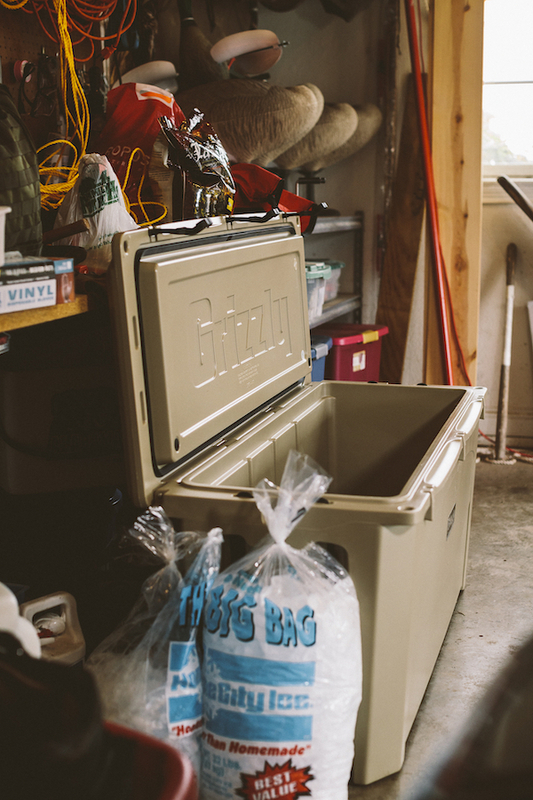 Lay a thin layer of ice in your cooler. 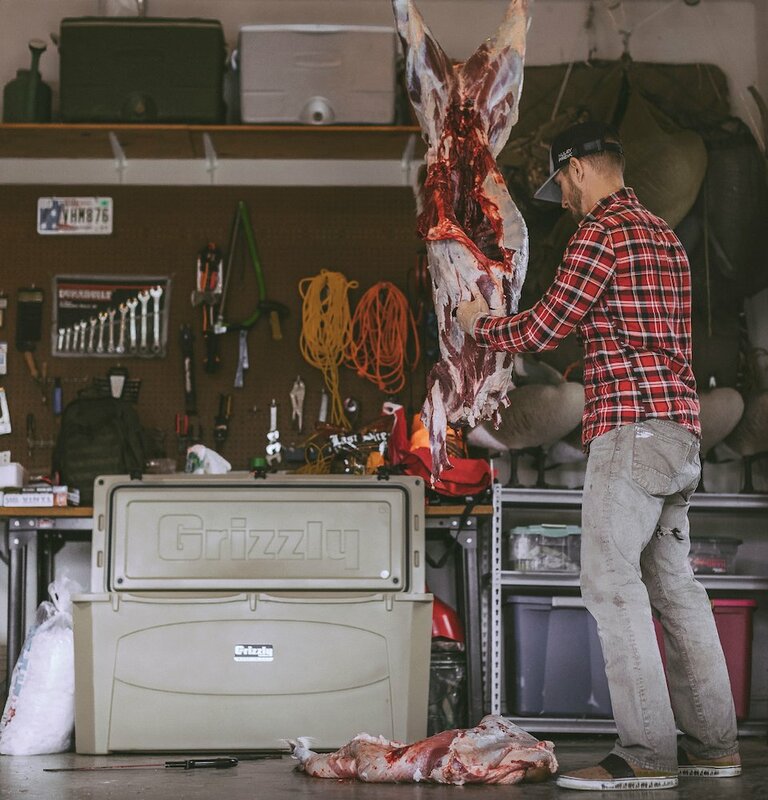 Keep in mind, this may take multiple coolers depending on the size and dimensions of your cooler and amount of game meat you are curing. Pre-cooling a cooler is also beneficial if cold enough outside or you have access to a large freezer. Break down your game as you are familiar. 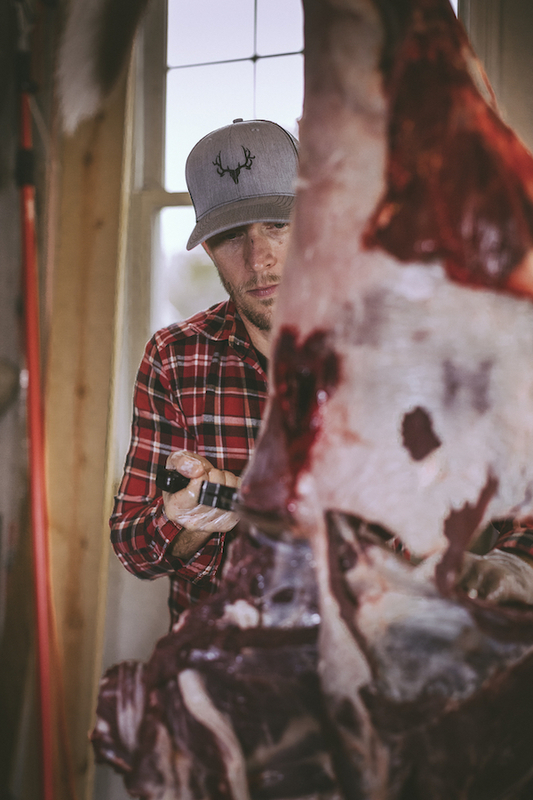 We break it down to the front quarters, the neck up to the sixth rib, the ribcage with backstrap and tenderloins still intact, and finally the hind quarters. Be sure to trim any large fat caps from the meat as these are semi-permeable barriers that block some, but not all, salt penetration at first. 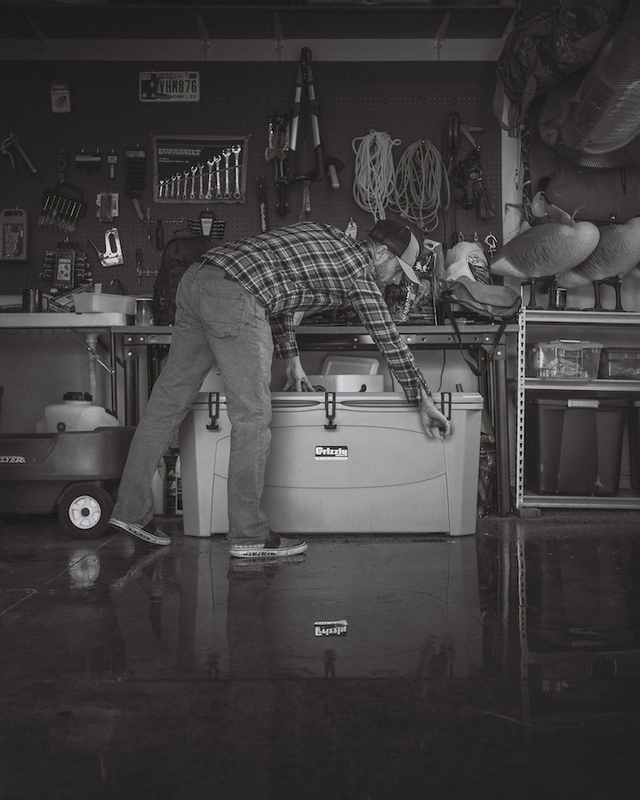 Rinse the meat of any dirt or field debris and lay the front quarters in the cooler. Salt both sides of the meat liberally and cover with more ice. Keep alternating meat and ice until that cooler is full and/or all of your meat is in the cooler. We typically use 2-3 large bags of ice from a gas station and a 1 lb container of salt for an average size whitetail deer. Wait 7-10 days for the magic to happen while routinely checking the cooler(s) and topping off with ice as needed. You may want to drain the water mid-process if your ice is melting rapidly, but always remember to add ice. Butchering Day. If you are butchering your own meat you’ll want to drain the cooler and dry the meat before proceeding with your process. If you do not butcher your own meat you can also take it to a meat processor and it should save you a little cash, as they did not have to do the primal breakdown of the animal. Make sure you have a reputable processor who will butcher YOUR MEAT, not throw it in with someone else’s. There are some processors who weigh your meat and give you that much meat in return. If that’s the case then all of your work up to this point will go to another very lucky hunter. Needless to say, we butcher our own meat. As you butcher your meat you should see a light-pink line (like a smoke ring) around the outside of the meat with a dark red center like the picture below. This is evidence of good salt penetration. Cook and enjoy the best meat EVER! Research has shown that as the internal temperature of the meat rises the salt migrates further and further toward the center, creating the ultimate steak. We like to sear and cook our steaks in a blazing hot cast iron skillet seasoning only with salt and pepper, and then we finish it with butter. Allow to rest for 5-8 minutes—if you can muster the patience—it’s worth the wait.